With petroleum oil in the engine…88% of the internal contamination comes from the oil. This is because of the chemical reactions within the engine’s crankcase between petroleum oil and various by-products of combustion, including sulfur, heat and water. It’s not the by-products themselves that make the oil dirty. It’s the chemical reactions caused by the by-products. AMSOIL is not susceptible to these chemical reactions in the crankcase. To understand this, we must look at the differences in molecular structure of petroleum and AMSOIL. Petroleum is a hydrocarbon. AMSOIL is a diester formed by combining fatty acids with isopropyl alcohol in a five million dollar synthesis machine. AMSOIL is 100% saturated. Meaning it’s made up entirely of tightly bonded molecules that are extremely difficult to break apart. Petroleum oils are less than 55% saturated…often less than 50%. This means that almost half of every quart of oil you put in your engine is unsaturated…or loosely bonded molecules of hydrocarbons. It is not the saturated part of petroleum that causes difficulties…it is the half that’s unsaturated. There are several damaging chemical reactions that are constantly happening to the unsaturated or loosely bonded hydrocarbons. Sulfur reacts with petroleum oil to form sulfuric acid. This happens as soon as you start your engine with freshly changed oil. Sulfuric acid reacts chemically with the loosely bonded hydrocarbon molecules to precipitate out tar and sludge. The unsaturated hydrocarbons oxidize at high temperatures to form gum and varnish. Condensation enters the loose molecular structure and turns the oil gray. Water has a higher surface tension than oil. It tends to cling to metal surfaces causing rust and corrosion. Polymers added to petroleum oil improve viscosity shear and break, causing the thickening of the lubricant. Gummy rings…the MAIN reason why engines burn oil. Sticky lifters…may cause clattering and burned valves. Varnish glazed piston walls…increases oil consumption. Varnish glazed seals…the most common cause of oil leaks. AMSOIL has extremely high film strength. Film strength refers to the amount of pressure it takes to squeeze the lubricant out from between two flat pieces of steel. Petroleum oil ranges from 250-550 psi. AMSOIL’s film strength is over 3250 psi. Therefore…the entire inside of the engine “floats” on a film of Amsoil. This is the reason for the average increase in gas mileage of 4-6% and 6% boost in horsepower that users are experiencing. AMSOIL is by nature…a high detergent lubricant. It has been specifically formulated for high detergency without using detergent additives that quickly break down and wear out. This is possible becasue of the chemical makeup of AMSOIL. As a result…AMSOIL has the ability to remove tar…sludge…varnish and other deposits from the inside of the crankcase…leaving wear surfaces mirror clean. AMSOIL’s extremely high detergency means that it is capable of reducing and/or eliminating the above problems. AMSOIL has a very high seal compatiblilty. Petroleum oil shrinks cork gaskets and requires a “swelling agent” additive to prevent this or limit its effect. AMSOIL has the ability to restore petroleum-oil-hardened neopreme and rubber seals to their original resiliency. AMSOIL does not shrink cork gaskets. 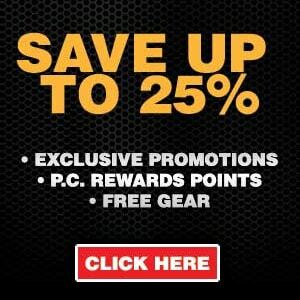 AMSOIL Gives You The Luxury Of Changing Your Oil Once A Year Or Every 25,000 Miles! Why 25,000 miles? In laboratory tests…the first signs of non-exterior contaminants show up sometime after 30,000 miles. 25,000 miles is therefore a conservative figure. Samples of oil can be sent to any oil testing laboratory for analysis. 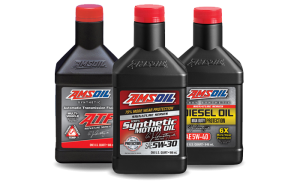 AMSOIL has a kit available for that…Analysis Kit#G-1451 should a user feel uneasy about extended service. PS…Most Japanese models take the Ea15K oil filter…good for 15,000 miles. If you drive over 15,000 miles a year…change the oil filter…no need to change the oil until 25,000 miles or one year. European cars … oil and filter need to be changed at the recommended mileage by the owners manual.